I recently wrote about thirteen of my favorite short stories to read with middle school and high school students. 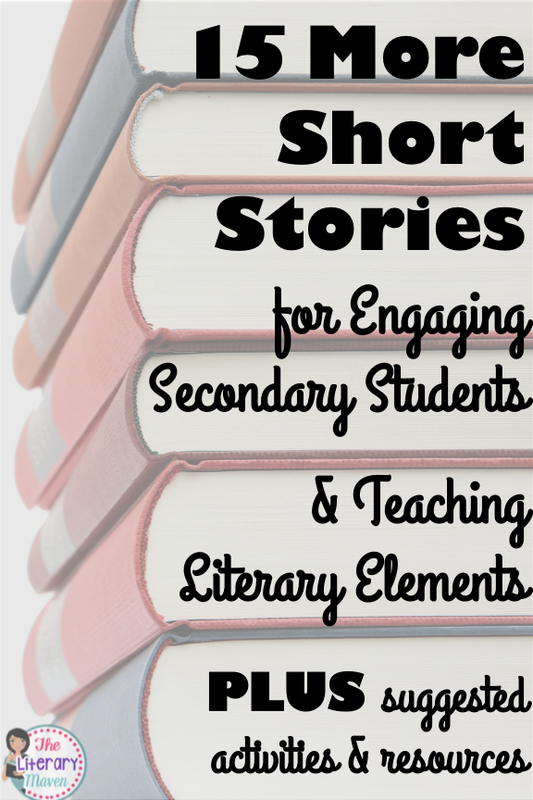 While those are my go to stories for teaching literary elements and pairing with other texts, there are so many other options out there. Here's fifteen other short story recommendations from middle school and high school English Language Arts teachers. My students love this creepy story! But more than that, they love the suspenseful ending that leaves them wondering, questioning, and debating. 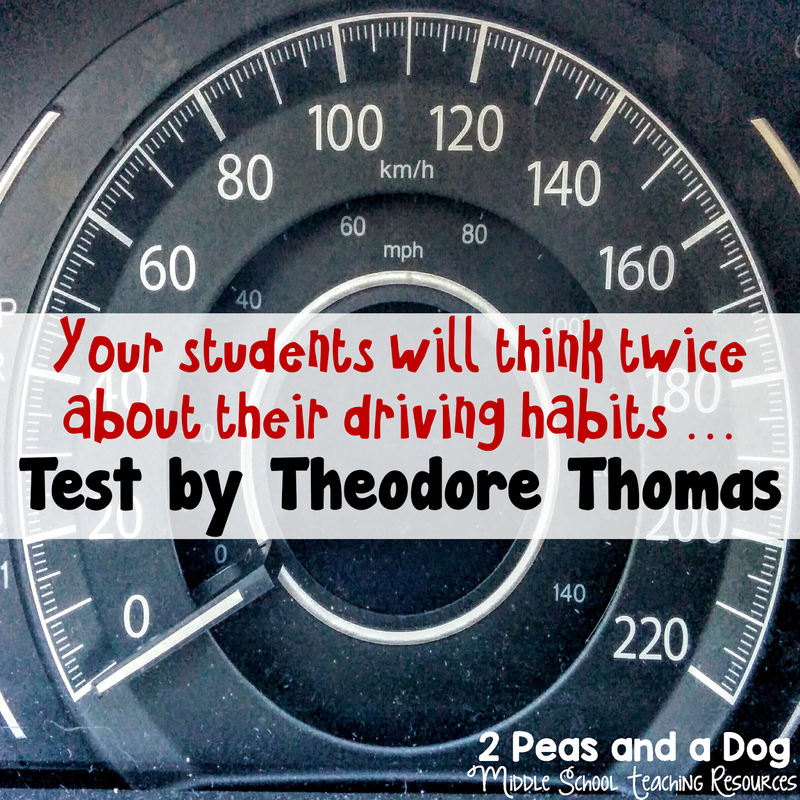 This story is perfect for teaching foreshadowing, point of view, and irony. 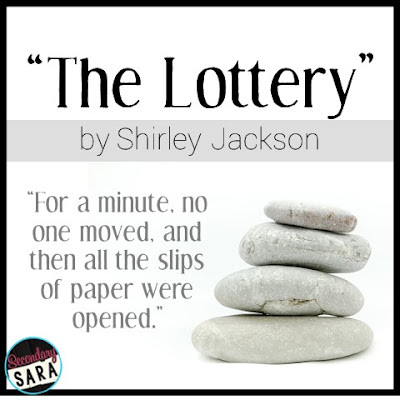 A fantastic gem of story that students referenced throughout the school year. I love teaching this story for its surprise actions from a seemingly harmless protagonist. I start off with a PBL exercise written from the cop's perspective, and students make inferences to decide how and why Mrs. Maloney killed her husband. Once students have solved the mystery, we read the full story. Then, students choose whether to write a closing argument as either Mrs. Maloney's defense lawyer or as the prosecution. Even though we all know she's guilty, it's fun to hear the arguments they come up with! Bradbury is by far one of my favorite authors. He manages to convey so much emotion use so many different forms of figurative language, and yet his language is pretty simple. I've used it with high elementary students, middle school, and high school students. EVERYONE connects to the story. Even though it takes place in a strange time in another planet EVERYONE can relate to the concept of bullying. Especially in this time of cyberbullying, it is important to bring up the conversation of advocating for others, in your class. This story not only is great for analysis, it also allows you to really delve into this topic without seeming preachy. It's great for summer school students stuck inside, or for a story in the midst of winter when you're craving sunshine. Heck, use it at the start of school as you feel summer leaving you. I promise you your students will love creating their own ending, finding the literary devices, and applying this story to their lives! This story is an absolute hidden gem! Judson Webb, an arrogant business man, gets caught in his own nefarious web. Webb wants revenge against a supposed thief, he sets a trap and... (well I'll let you discover what happens). This short story provides an excellent introduction or revision activity for close analysis of language, inference, characterization and narrative structure. Furthermore it will allow your students to debate issues of justice, cause and effect, responsibility and revenge. A perfect package for engaging analytical and critical thinking. 1) What constitutes criminal intent? 2) What qualifies someone as a victim? 3) What types of decisions (if any) determine destiny? 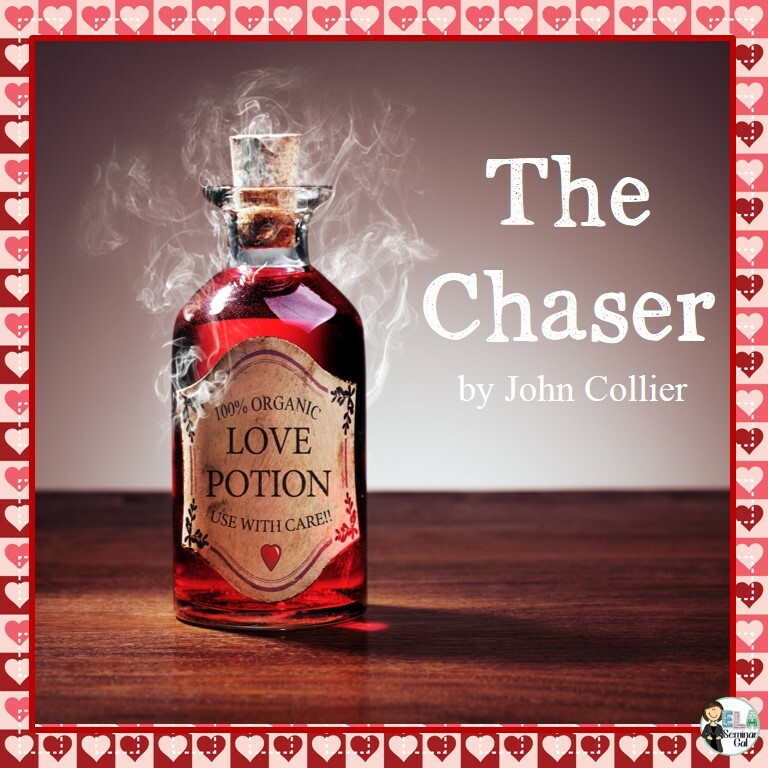 As the story unfolds, Collier compels every reader to wonder, “What would I be willing to do to gratify my deepest desires?” This well-crafted story - which was also turned into a “Twilight Zone” episode - inspires lively (and sometimes heated) discussions in middle/secondary classrooms. Can a person die of a broken heart? Kate Chopin poses this question with her classic tale, “The Story of an Hour.” The surprise ending provides an ironic twist that will engage your students and make them reconsider the obvious answer. Despite being set in the late nineteenth century, students will no doubt relate to the themes of love and personal freedom. This brief, yet poignant story, is packed with teachable literary elements and demonstrates the brilliance of Chopin’s craft. I enjoy reading and teaching this story to my special education middle school students in the beginning of the year. Although some of my students may not be eleven at the time we read this story, the lesson is one that we can all identify with. There are times when we all can act mature and our age but there are other times where for no apparent reason, we act immature and childish. We all get embarrassed and are put in situations where we wish we could've acted differently. I like teaching this story in the beginning of the year because it gives my students and myself a common experience to draw from. I get to learn about my students from their personal experiences and they get to see that I am not perfect but a human also who makes mistakes, just like them. My students love this short story because it has a huge twist at the end which is completely unexpected. It is also realistic fiction/science fiction cross over, which are two genres most students really enjoy reading. This story is great to teach story elements of plot, characters, theme, setting and conflict, and is just one of the stories students read during my short story unit, which culminates with a Short Story Choice Board. Students are given a choice board with the main focus areas of reading, writing, oral, visual/media. Each topic has three different choices for each focus area. Students are required to select one option from each column to complete and then hand in to be assessed. Its tale of loyalty and friendship combined with mystery and suspense make it an incredibly engaging read. Students develop skills in understanding short story elements, mood development, theme, foreshadowing, vocabulary, dialect, and writing while reading this story. "Lob's Girl" taps into students' natural love of animals and keeps them intrigued until the very end! This dark short story is an awesome way to spark great conversations OR jump-start a unit on a dystopian novel; for example, I teach this short story right before we start reading The Giver in eighth grade. It's a fairly easy read, since there's so much dialogue, but it raises great questions about whether or not societies should follow traditions and why. We also like to build "conspiracy theories" about whether or not dystopian authors of books like The Giver and The Hunger Games were inspired by (or plagiarized) this short story. “Raymond’s Run,” by Toni Cade Bambara, is a story I love teaching with my middle school students. The first-person narrator, Squeaky, grabs everyone’s attention with her “tell-it-like-it-is” attitude. Bambara uses long, rambling, descriptive sentences to show us Squeaky’s confidence as a runner, her fierce loyalty to her mentally-challenged brother, Raymond, and her determination to rise above peer pressure. There are an abundance of theme topics for discussion and writing! Also, it’s a perfect story to track the way a character changes over the course of a text, since at the story’s end, Squeaky has a different perception of both her brother and her opponents. After reading, my students enjoy creating a foldable Story Brochure, which focuses on several different tasks including character traits, illustrating a conflict, new words, theme, summary, and close reading questions. 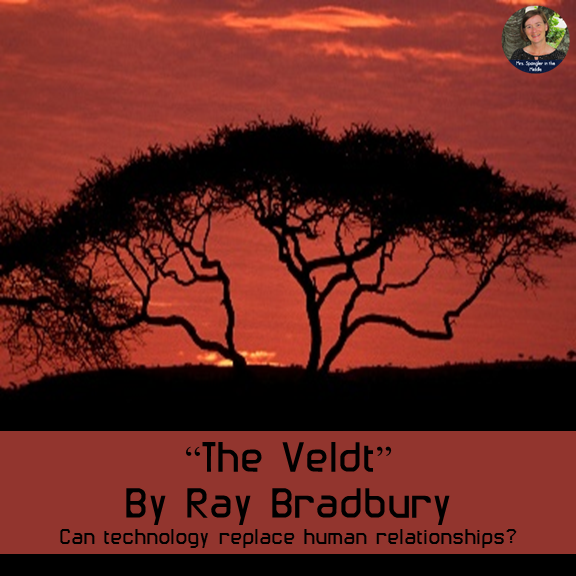 One of my favorite short stories to teach is Ray Bradbury’s futuristic, yet cautionary tale, “There Will Come Soft Rains.” This story is phenomenal for teaching setting, foreshadowing, and theme. When I teach this story, I really focus on setting. I want students to pay attention to every detail of the house. I want them to understand the way in which this family lived in this smart house. As they look at and analyzing the setting of this story, I urge them to discuss why they think this house is empty, and where they think its occupants are. As we finish reading the story, I ask them to tell me what happened to its occupants and why they think it happened. This generally leads to a conversation about theme –which usually revolves around technology and war. After reading the story, I like to complete a poetry analysis activity where I have my students analyze the poem for which the story is titled. “There Will Come Soft Rains” is a must read in the secondary English classroom. It’s no secret that when learners link their lives to literature as they do through contrasts in this story – they gain and retain far more. What’s less known though, is how teens make relevant links between literature and learning – in ways that cultivate curiosity, build on their diverse intelligences, and lead to meaningful and brain based takeaways. This story invites personal links that help students to enjoy and learn literature in ways that offer lived experiences to bring alive Anton Chekhov’s classic story, and their own. They start by recalling similar experiences to those they predict in the story, and end by pass a talking stick to share and compare story parts that relate to their interests and experiences. "The Veldt" is a chilling dystopian short story about the power of technology in our lives. We all enjoy various electronics as they make our lives easier, but can it go too far and be too much? I love to use this idea to “hook” my middle school students at the beginning of the year as they love their technology. You can imagine that a Socratic Seminar revolving around this theme really fires them up! We discuss how technology impacts our lives, both positive and negative, and even about how doing some things for yourself might be better than having all things done for you. It’s a perfect lead-in to establishing expectations for the year and creating an environment of personal responsibility and self-motivation that can be supported by technology but hopefully not dominated by it! "An Occurrence at Owl Creek Bridge" by Ambrose Bierce is one of the short stories that I use as part of my fall boot camp. I use it to teach the point of view; it is written in third person but as a stream of consciousness. The story is a frame story where the middle section is an alternate reality. In addition the story takes place during the Civil War, which makes it an excellent choice for any American Literature or American History class. My students are usually drawn in by the alternate reality and shocked by the ending. Wow! Thanks for all these great suggestions for stories and ways to teach them! Hi, Brynn. Wonderful list. I read "The Lottery" by Shirley Jackson in college and it was one of those stories that helped with my own writing. Today, one of my short stories, “The Crush,” is featured on Huffington Post and has been selected by the International Baccalaureate Organization for language and literature teacher support material. I say, keep up the good work because you never know who might be inspired. Great suggestions! I use so many of your blog ideas and for that I thank you! Do you have suggestions for non fiction titles at an 8th or 9th grade level (lexile between 500 and 800) for students who struggle with reading skills? Thanks for your help! 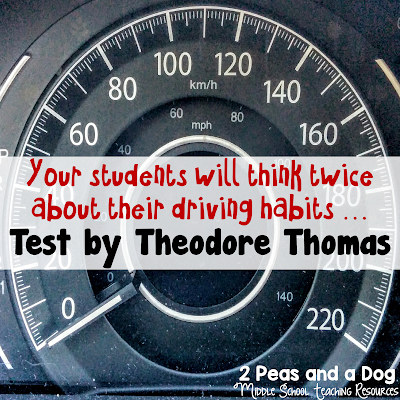 Do you think I could use these titles for my 7th grade self-contained students? Seems like these short stories will engage the mind and provoke thought. Feel free to email me or list below any awesome ways to reach this Population. Many of these would definitely be appropriate for 7th graders. 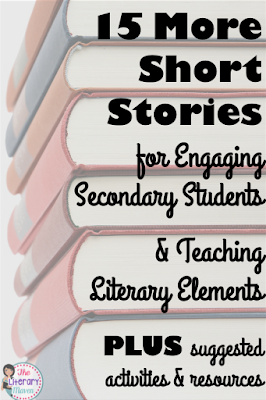 You can find another 13 short stories that would work as well here: http://www.theliterarymaven.com/2016/05/short-stories-high-school-middle-school.html If you click on the titles in that post, it will lead you to resources for teaching each text, many of which include adapted versions of the stories. Happy teaching!